The ideal solution for converting your images to PDF! Create PDF files from any image format, including JPG, GIF, TIF, PNG, BMP and many others! Convert your files with a single right click! You don’t even need to open documents to convert them! PDF format allows you to reduce the size of your image, making it quicker and easier to send by e-mail. Expert PDF is the ideal PDF solution that offers everything you need to read, create, edit and convert your PDF files securely. Click on “Open”. 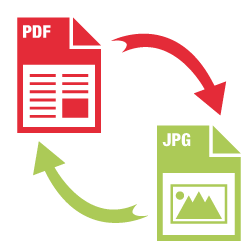 Expert-PDF will automatically convert and open the Image file to PDF format.